Club Penguin Cheats by Mimo777 Club Penguin Cheats by Mimo777: Guest Blog Post from Ross Lynch! Guest Blog Post from Ross Lynch! 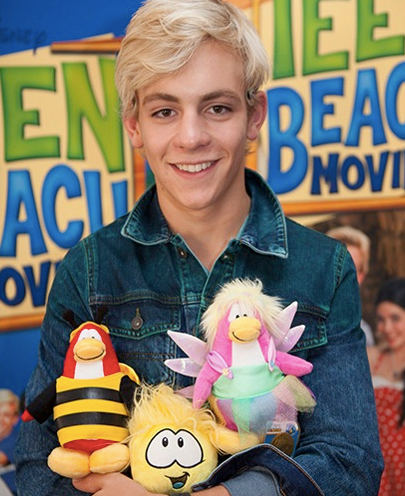 Check out this Club Penguin guest blog post from Ross Lynch staring in Teen Beach Movie! Hey Everyone... Ross Lynch here! Some of you may have seen me as Brady in the Disney Channel Original Movie, Teen Beach Movie. Just wanted to let you all know how stoked I am to be a part of the upcoming Teen Beach Movie Summer Jam. Having played Club Penguin when I was younger, I never would have thought my character from the movie would end up being a mascot in one of the parties! The party looks pretty epic so stay tuned for more party updates and mascot meet up times from Polo Field. Guest bloggers? What's up with that!? Wow, that's really awesome. :P I'm pretty pumped for the Summer Jam! Penguin of the Day: Ryuga14! Rockhopper Coming to the Island! Club Penguin Music Video: Party In My Iggy! Teen Beach LAST Prize: 28! Penguin of the Day: Firebowl34! Igloos Coming to My Penguin on iPad! Teen Beach Party Prize: 27th! Penguin of the Day: Dawg5! Teen Beach Movie Summer Jam Video! Penguin of the Day: Jpjake! Teen Beach Party Prize: 26th! Penguin of the Day: SeaMaster495! What's New in September 2013! Game On: Teen Beach Movie Summer Jam - Video! Club Penguin Teen Beach Party is HERE! New Club Penguin Pin: FRIENDS FOREVER PIN! New Game Coming to My Penguin on iPad! Penguin of the Day: Sianeyb2! VIDEO: New My Penguin Avatar Sneak Peek! Penguin of the Day: Dexter12311! Penguin of the Day: Bluebellgb! Teen Beach Movie Summer Jam: Sneak Peek Video! Penguin of the Day: Volinvolin! Furniture Catalog Cheats: August 2013! The Stage: Ruby and the Ruby! July Suggestion Reviewed By You! Teen Beach Movie Summer Jam: Official Trailer! Penguin of the Day: Iceberg4968! Penguin of the Day: Adelypenguin! Penguin of the Day: Jannina6! Club Penguin Planes Takeover Party! Club Penguin: #WaddleOn - Episode 5! New EPF Message from Director: August 8! Penguin of the Day: Pingu7020! Club Penguin Star Wars Takeover: August 8th! Everyday Phoning Facility Update Complete! Club Penguin Teen Beach Movie Home Page! Teen Beach Movie Summer Jam... Coming Soon! "Disney Takeover Party" on Club Penguin? Penguin of the Day: Emmanuella2! Penguin of the Day: Jaydenblast8! Penguin of the Day: Daisy 5626! Club Penguin Star Wars Takeover Caption! Club Penguin: #WaddleOn - Episode 4! Penguin of the Day: Squidy2008! Penguin of the Day: Tuffle12356!